Have you received Taxotere chemotherapy treatment for breast cancer? Did you experience permanent hair loss or baldness? 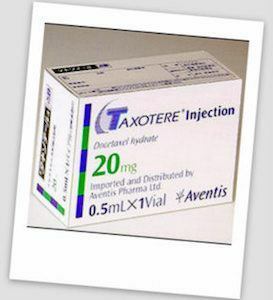 Sanofi-Aventis, the manufacturer of Taxotere is alleged to have failed to adequately warn patients about permanent baldness and so deprive them of the option to choose other chemotherapy drugs that are just as effective without the risk of permanent baldness. If you or somebody you know developed baldness after Taxotere chemotherapy, you should contact our lawyers immediately for a free case consultation. Please use the form to contact us or call us toll-free 24 hours a day at 888-210-9693 ext 2. or 214-390-3189. Baldness is a common side effects of Taxotere, but only a small percentage of patients experience permanent hair loss. Studies by Sanofi-Aventis estimate the risk at about 3%, but other studies suggest the risk may be as high as 6% of patients. For some chemotherapy patients, hair loss is the worst part of cancer treatment. It can be emotionally distressing and physically disfiguring. The impact on self-esteem and quality of life can be devastating.